Our school prides itself on providing students with a variety of powerful resources, allowing them to learn new skills and take projects to the next level. One way that the school has accomplished this by continuing to update the Library for the digital age, as part of this update the DHS iTeam has set up a Cube Pro 3D Printer in the Library Learning Commons’ new Media Lab, The Media Lab also contains a workstation computer which is capable of doing major CAD, video editing, or photo editing, as well as a 360° 5k GoPro camera – these resources provide powerful tools for a variety of high-tech projects. The Media Lab is available by request only through either Media Specialist Ms. Jackie Bennet or Ms. Sandra Mackowski. The Lab has been a long work in progress. It started last year, when the newly formed iTeam was tasked with creating a 360° video tour of the school, a project that is still ongoing. In order to complete the project, it was determined that the iTeam needed a camera capable of shooting in 360, as well as a powerful computer to edit the video and create usable clips. 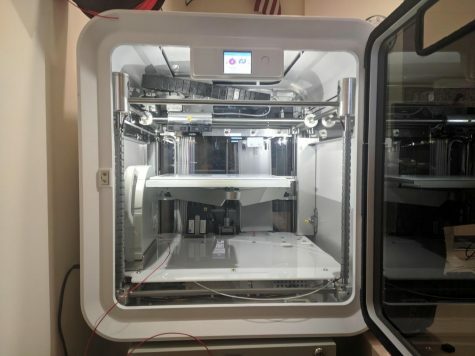 Around the same time Ms. Mackowski, the iTeam club adviser, mentioned that the library was considering accepting an offer of a 3D printer from Ox Ridge, Ox Ridge was offering DHS a Cube Pro. The Cube Pro was not the iTeam’s first choice for a multitude of reasons: its proprietary slicer -the software used to turn users’ 3D Cad drawings into files the printer can understand- is terrible at generating supports or dealing with unusual models; and the fact that it uses expensive proprietary cartridges instead of the less expensive standard 1.75mm filament; and The Cube Pro not having a heated build plate -the platform where the print goes. All of these factors make it a machine that is really only good for PLA (Polylactic acid), which is the most popular and useful plastic for 3D printing due to its low melting point, and non toxic biodegradable nature, but it does have the major drawback of being extremely brittle, making the also non toxic, and still pretty easy to print PETG (Polyethylene terephthalate) the preferred choice for parts requiring high strength. 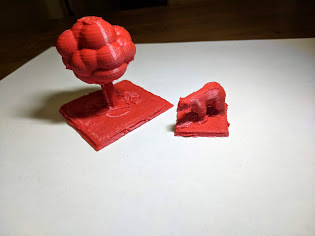 ABS (Acrylonitrile butadiene styrene), another filament you might have heard of is toxic and very difficult to print, and has similar or worse strength to PETG meaning that we never considered not being able to print it a big deal. 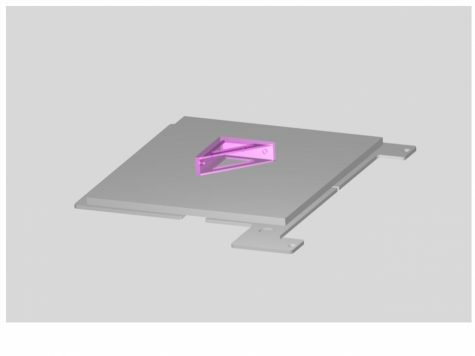 use the 2 Cetus 3D printers in tech-ed as those are more modern, which means that they have a better hot end and cooling system, and they can use almost any slicer thanks to their open-source Marlin Firmware; however they have a much smaller build area and might not be as available. This is just a start for the Library. When asked about the future of high tech development at the library, Ms.Mackowski said, “As a school library, we are always looking for ways in which to expand our learning resources. 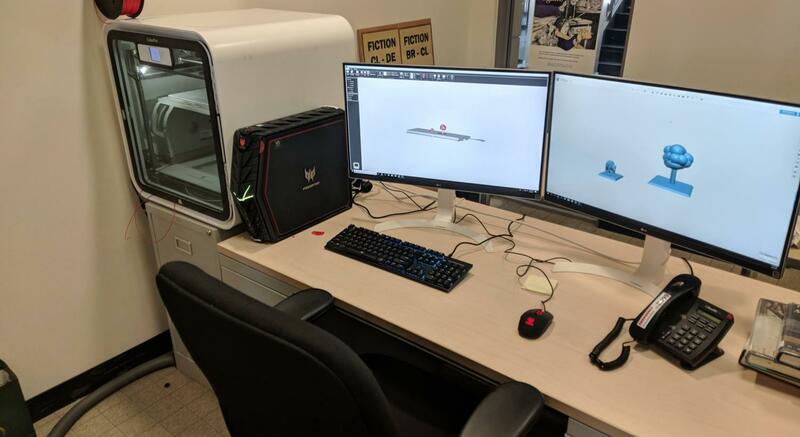 In the past year, the DHS library was fortunate enough to obtain both a 3D printer and powerful workstation PC affectionately called “The Beast”. We are thrilled to have a 3D printer for students because they can produce just about anything with it. From ancient pyramids to self-designed mechanical prototypes, it provides endless physical learning opportunities to students. “The Beast” (Acer Predator) was purchased by the district to initially support the 360 virtual tour project by iTeam. It is a powerhouse in terms of specs. The station is loaded with an Intel Core i7 6700 processor, Nvidia GeForce GTX 1070 video card, 16 GB Ram and two 27” 4K monitors. We envision students using it for school projects that require a significant amount of system resources, such as in video editing or computer programming work. These resources are just a start to what’s to come at the DHS Library and we hope to see students utilize them to support their learning.” If you are interested in using the digital creation lab for any of your projects Ms.Mackowski and Mrs.Bennett can be found in the Library learning commons or contacted at [email protected] or [email protected] respectively. Or if you are interested in the 3D printer specifically, and would like some help getting everything up and running you can also feel free to reach out to me at: [email protected], just make sure to CC one of the librarians.